To make the most of every day, you need to be organized. In this way, you will have almost everything under control. 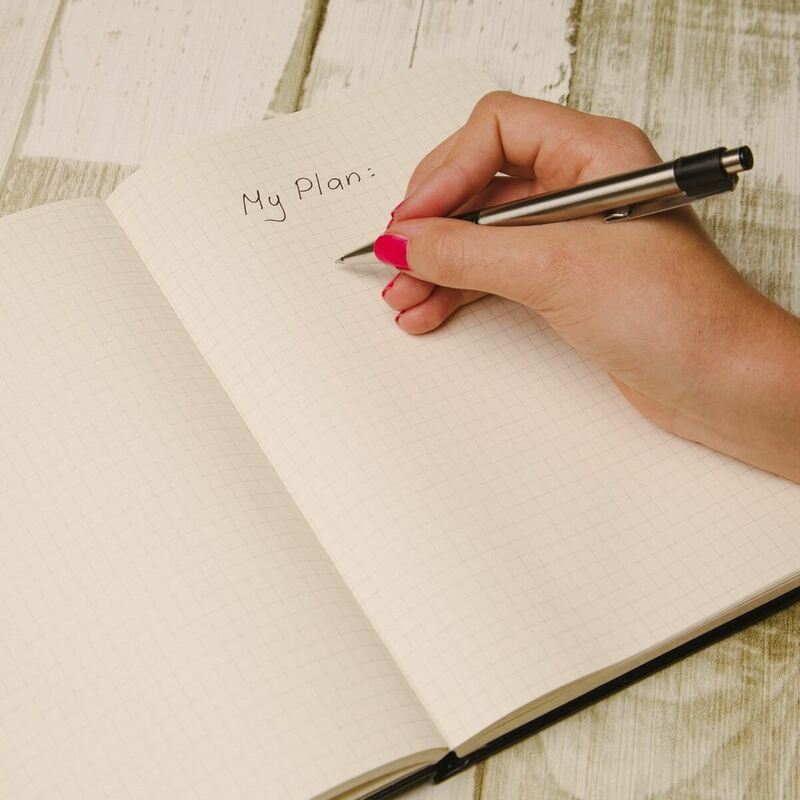 Using a schedule makes it easier to find free time to dedicate it to your favorite activities. Organizing each task within the week is crucial if you want to make sure that nothing is neglected and you reach your goals. You definitely need a user friendly and efficient calendar if you want to stay organized all week long. Well, you’ve come to the right place. This article highlights the best software that you can use to plan your week. This article aims to give you a valuable guide to pick the best software that suits your needs. 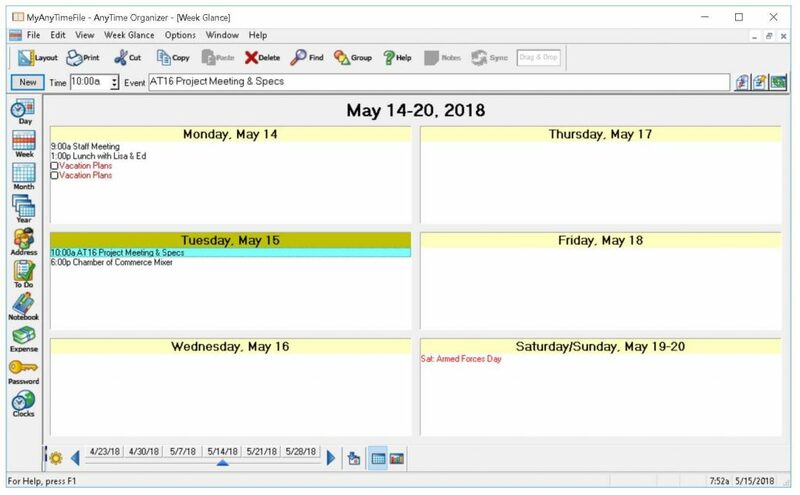 What are the best weekly planner software to use in 2019? 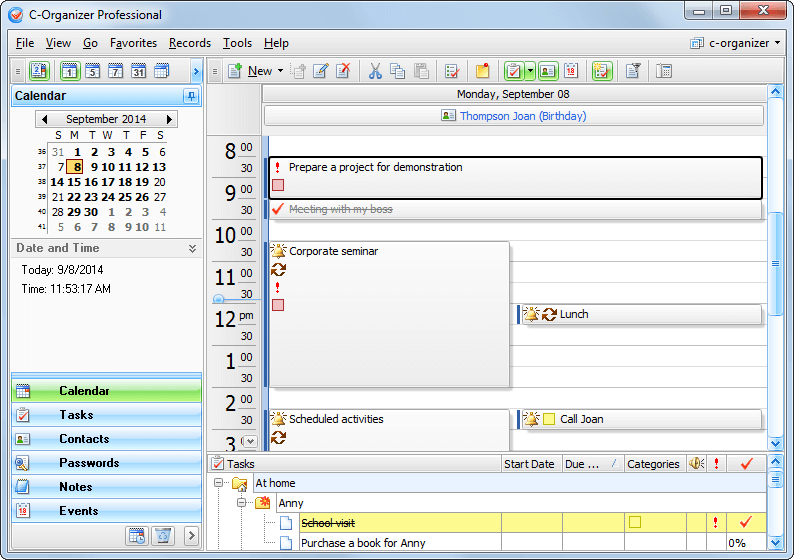 Organizer Pro is a well-structured, simple and affordable organizer created with many tools and management options. You can insert a consistent quantity of data in the program without any possibility to lose them. In fact, they are automatically saved and backed up once inserted. The functionalities, offered by Organizer PRO, include the most common ones such as notebook, tasks list, calendar, reminder, locking password, address book, birthday’s saver but also an interesting world clock. The organizer highlights any overlap or repetition among the events. All the texts written in the calendar can be exported/downloaded as a PDF or a TXT. 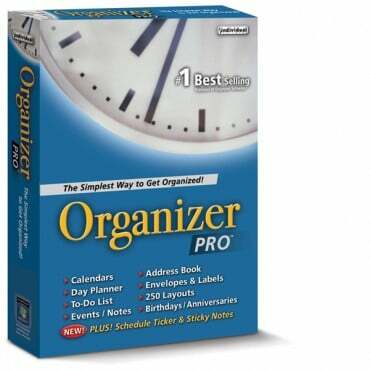 The low price and the supported functions make Organizer Pro very interesting. Nevertheless, before choosing Organizer Pro, you should consider that there is no dedicated app. Moreover, the software is not cloud compatible and there are no integration and synchronization options available. Efficient Calendar features an easy to use interface that allow you to organize your week to every detail. The calendar is packed with the most important functions such as calendar, reminder, holidays, events and tasks. You can prioritize your tasks, and easily add attachments to them. Graphically speaking, you can think of the Efficient Calendar as a minimal version of Microsoft Outlook. The most important con related to this software is the impossibility to integrate it with your email. Because of that, you cannot invite people to attend a meeting or understand if they will participate at your meeting. 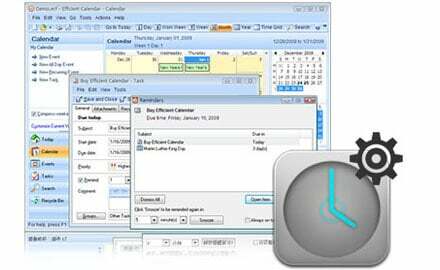 AnyTime Organizer Deluxe is a user-friendly and well-structured software. Contrary to the software listed above, you can integrate AnyTime Organizer Deluxe with Google Calendar. This software represents a good option for very organized professionals. The concept at the base of Anytime is that a nice calendar is not enough for busy people. It includes: to-do lists, notebook, budget template, address book, maps, due dates, reminder, possibility to upload photos of your contacts, alert for overlapping events and, security options with possibility to keep all your passwords. AnyTime Organizer has a clean interface with a useful guide that can help you in case of trouble. Moreover, the company’s website has a well-rated customer service and useful FAQs to respond to your needs. You can move the undone tasks directly to the next day. To remember your task, there is a built-in schedule ticker at the top of the program which recaps them. You can also schedule all your future events, holidays and birthday. The software will even pop up reminders if you organize a birthday party so that you know when your guests are coming to your house. Are you passionate about a specific sport? The software allows you to download the season calendar of several sports (e.g. NBA, Nascar). AnyTime Organizer Deluxe lets you create a personal letter template to print and send via traditional mail. It is quite easy to take notes via the software and to organize them as you wish. As far as numbers are concerned, if you need to remember and organize your expenses, AnyTime Organizer Deluxe is a good tool. Nevertheless, do not expect the tool to calculate any total or import your bank account expenses — the software does not allow that. You can import and manage data from other software, but it is not always easy. It depends on what software you’re using. If you are importing from AnyTime previous versions, Sidekick or you synchronize your Google data, the process will be fast. Vice versa, if you want to import from Microsoft Outlook, you might have some limitations, especially in the file format. Despite its pros, AnyTime Organizer Deluxe has no dedicated app and the software is not cloud compatible. Those disadvantages narrow its potential. C-Organizer is a planner software to take in consideration if you are a professional or a very organized person. C-Organizer is a strong organizational tool which provides many options to organize your week. Contrarily to the previous tools described, it supports access to cloud services and devices (e.g. Google Drive, Dropbox, Windows Smartphones). The software provides a clear interface and a powerful and customizable built-in notification system. The latter can alert you anytime via email or screen alerts. You can also move an event easily within the application, which, by the way, has a high level of protection. As AnyTime Organizer Deluxe, the software gives the possibility to manage all your IDs and passwords. Unlike AnyTime Organizer Deluxe, C-Organizer Pro can also help you to generate strong and quality passwords. You can write notes, address books (adding a lot of information such as email, photo, job), create to-do lists, generate contact lists, and organize your calendar. Nevertheless, you cannot make any calculation for your expenses. It is possible to categorize tasks and subtasks, prioritizing them. C-Organizer Pro has a well-structured data storage. You can back up your database both manually or automatically to do not lose any important information. In case you have deleted a file unintentionally, you can always recover that file via the Recycle Bin. The customer service is well-rated. You can find both FAQs and user guides within the website. C-Organizer PRO allows you to synchronize its calendar with the Google one and to export data in many formats but not in PDF. The simplicity of this application is its main characteristic. 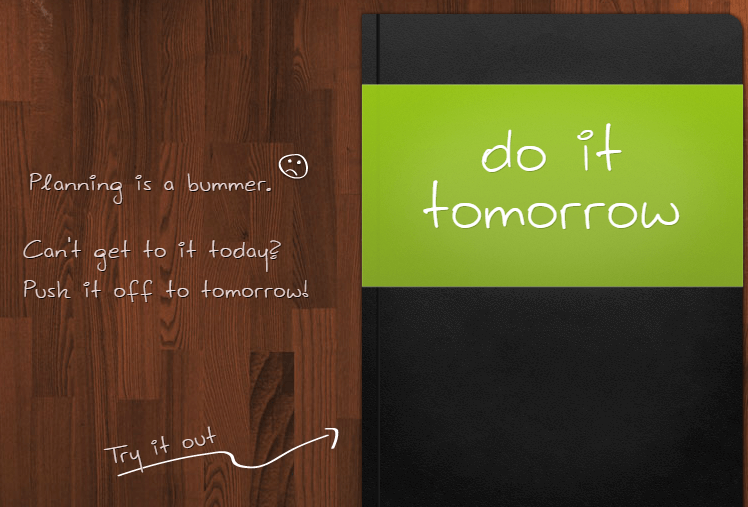 Its motto is “Do not leave for tomorrow what you can do today“. Therefore, it only allows the organization of the day and the next day. Basically, it is an app created for all those who prefer the old school agenda. Its interface is indeed based on that: a page for today and another for tomorrow. You can pass to the next day all the tasks that you could not carry out within the day. Comparing it with a common agenda, with this software you will always have the list of activities updated. The completed activities are deleted with a single touch and you can also access the software from multiple devices. There is a mobile app available and it is free only for the Android operating system, but it is also available on iOS. If you want to organize your week, that of your collaborators, check their agenda or share yours with them, Trello is the software you are looking for. 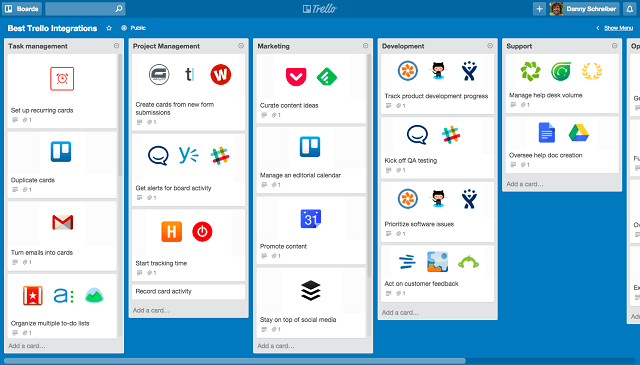 With Trello you can manage any type of project, and it is probably the most customizable application of our list. You can set deadlines for work delivery, organize them by color and monitor the tasks belonging to any team member. In Trello, each member can add the tasks in which they are involved. The project leader can mark the work to do. The other participants can choose which activity they prefer to carry out. The interface will show who is caring out what task. The application has a free version, very efficient for a person or a small team, and a premium version, BusinessClass. The latter can provide a greater storage capacity than the free version. However, the free version has all the necessary functionalities and you will not miss any kind of tool. Trello has user-friendly and free mobile apps available on iOS and Android. This article provides a view on the best software able to organize your week. We have avoided on purpose to describe the main organizers provided by Google (Google Calendar), Microsoft (Microsoft Outlook) and Mozilla (Mozilla Thunderbird). In fact, those are already highlighted when you open a Google or Microsoft account or when you use Mozilla’s browser. In fact, the aim of the article is to provide fresh and interesting options for users who want a classical agenda, professionals who want to plan well their week or people who are working in a small team. Let us know if the article has been useful to you. Comment below.